The new microscope optics for the optris Xi 400 infrared camera allows reliable temperature measurement on tiny objects from 240 µm. 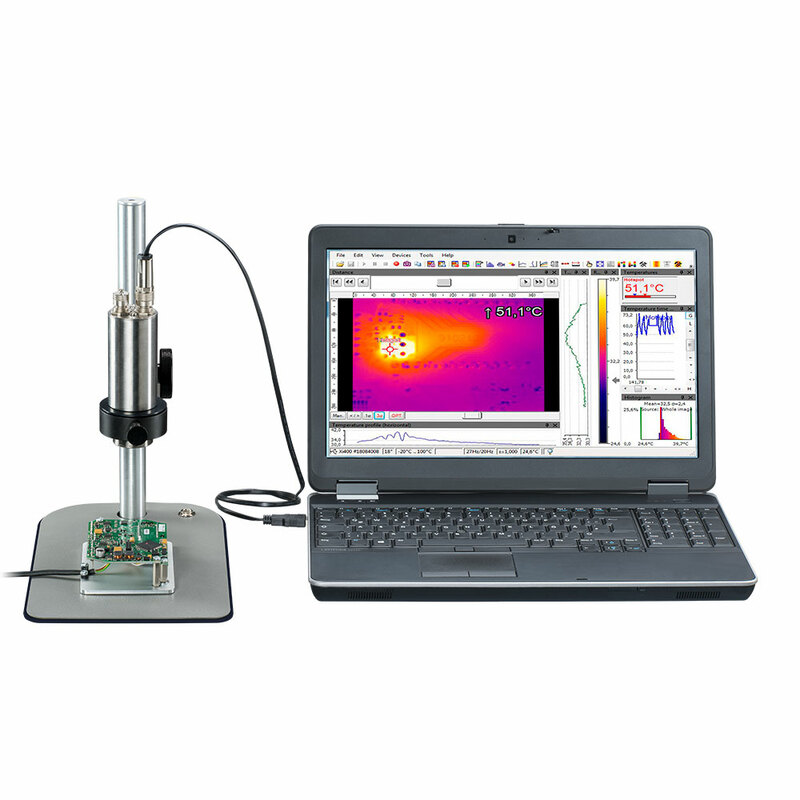 In combination with a suitable stand, this enables professional measurement of printed circuit boards and components in the electronics industry. The measuring distance between camera and object is variable between 90 and 110 mm. The built-in motor focus allows for an easy focussing of the camera with the included PIX Connect software. Circuit boards are a core part of electronic devices. They keep getting smaller while having to be more powerful at the same time. 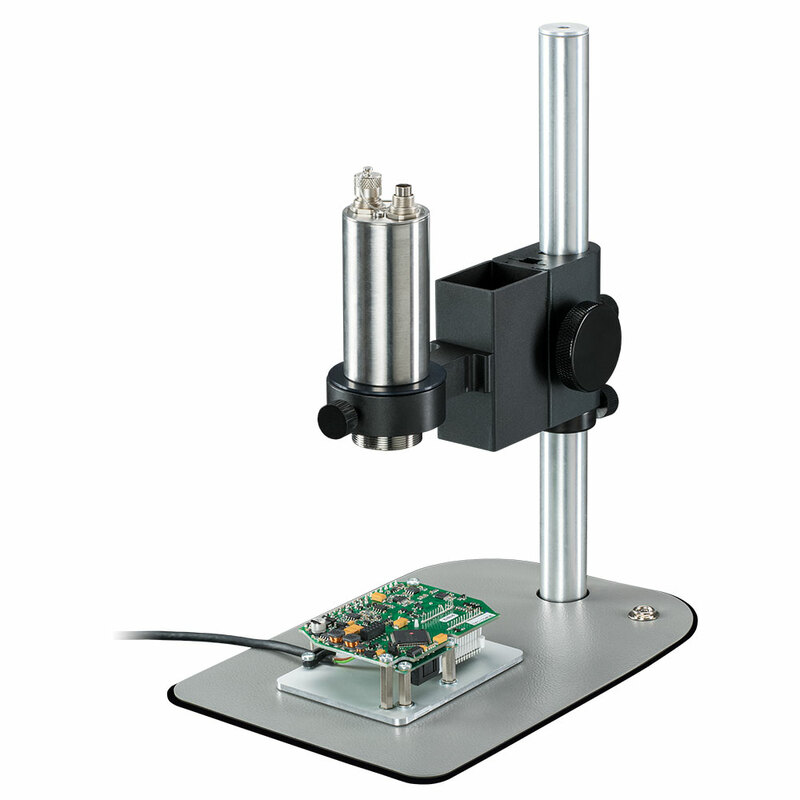 Temperatures of assembled circuit boards can easily be measured with the microscope optics of the optris® Xi 400 thermal imager, thus identifying overheaded areas quickly and preventing possible defects. The causes for excessive temperatures can be manifold: defective components, incorrectly dimensioned circuit paths or poorly soldered joints. All IR cameras are delivered with the thermography software optris PIX Connect, which has been developed specifically for the extensive documentation and analysis of thermal images. It allows you to analyse temperature data in real time as well as the remote control of your infrared camera. Furthermore, you can setup individual alarm levels for your process and define visual or acustic alarm signals. Our thermography software is licence-free and can easily be adjusted to your requirements.